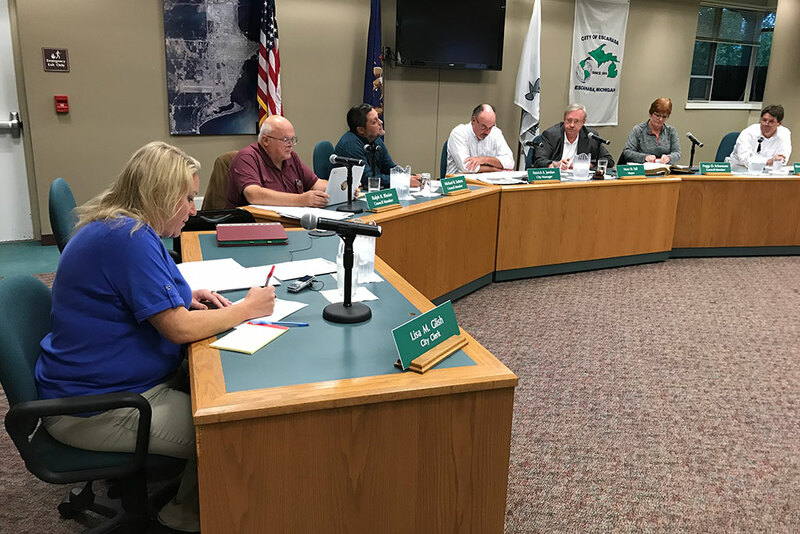 ESCANABA — The main portion of the Escanaba City Council meeting Thursday night will deal with the resignation of Lisa Glish as city clerk. The council will consider contracting with DS Tech for IT services and swear in an interim city clerk. Glish is leaving the position Friday after less than four months in the position. Her hiring divided the council and community which Glish felt was unfair to her. “I was hoping that it would dissipate and that people would realize, ‘hey, let’s give her a shot, let’s see what she does.’ I could never move forward. Every step I took I was attacked,” Glish said. She says she decided she had to leave after letters continued to appear in the paper and public comment did not stop during council meetings. Glish says she loved working for the city and felt she was qualified for the position. She expects whoever is hired to replace her will continue to have problems doing their job. Share the post "Glish reflects on controversy surrounding Escanaba City Clerk position"